One of the great things about college life is the added adventure of being able to do a study abroad program. Initially, I had been determined to spend my time in Florence, Italy. Out of no disrespect to the British, I felt drawn to Italian cuisine and the opportunity to see the history that Italy had to offer. 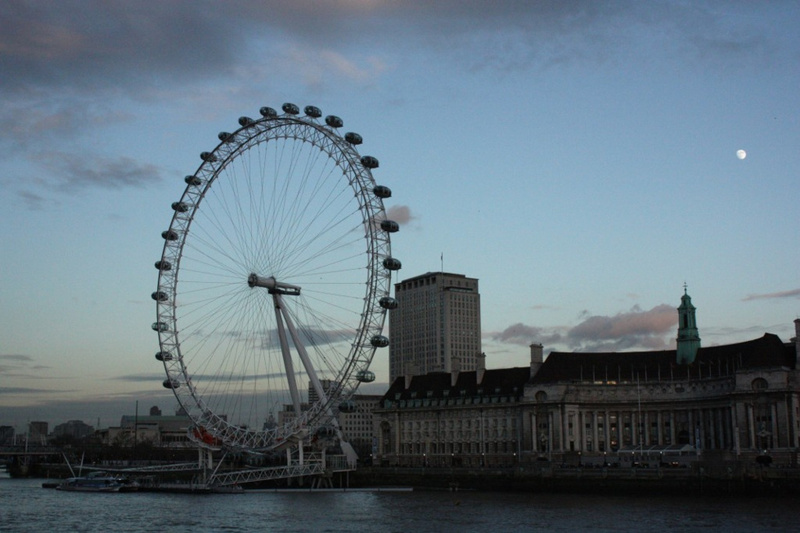 However, upon acceptance into an internship program in London, England, I immediately changed my mind. I've only been in the country for a week, and am glad that I chose to come here. The food options, the culture, the architecture, and the ambience are all fitting for my persona. Not only do the people give London its wide range of diversity and opportunities, but the variety of areas from Islington to Bloomsbury to Westminster allow for one to find a place that suits him or her. While I wasn't expecting so much city living, as I've spent the past three and a half years mainly being in a suburb that is somewhat void of diversity, I've become accustomed to having a platter of offerings and am already unsure of how I will ever return. London has so many opportunities to lose myself in; I refuse to sit still as I don't want to miss out on anything. The amount of walking that I have done is refreshing, even if my feet were killing me the first few days. I've already walked across Abbey Road, found 221b Baker St., and attempted to catch the Hogwarts Express at Platform 9 ¾. These are elements that have become popular due to the arts, but to see where the Beatles, Arthur Conan Doyle, and J.K. Rowling got pieces of their inspiration from is priceless. Then there is Leicester Square, which is adjacent to China Town. It is reminiscent of New York City's Times Square with all of the bustle and the theater options. Another area that reminded me of New York City was Camden Markets, which is a mixture of flea markets, storefronts, and, of course, food. Yet, it is far less unnerving than New York City's Canal Street, as there were no hidden basements with illegal apparel that the merchants bring you into. Westminster, Westminster Abbey, Big Ben, and the Eye are among some of the more well-known sites and did not disappoint. 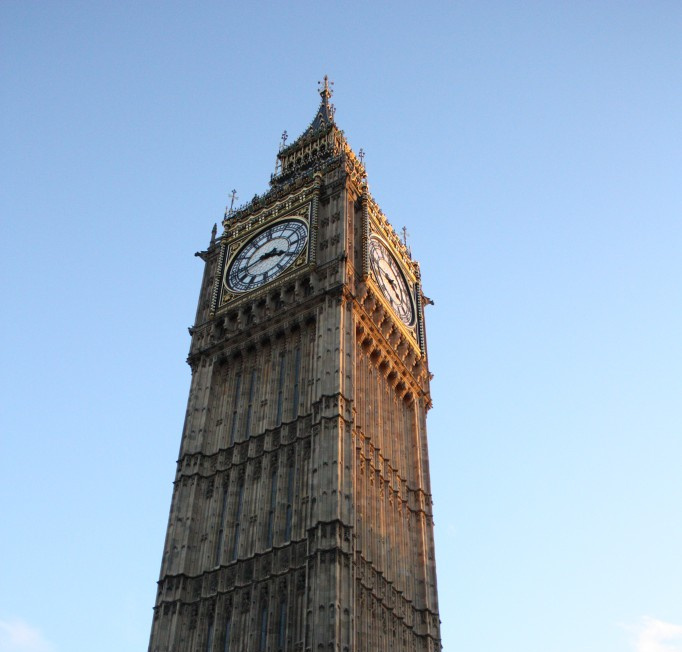 I went at dusk, so was able to watch as Big Ben and the Eye began to light up the night's sky. The history that is enveloped in areas like Westminster makes me want to visit the area several more times, so I won't miss anything. My favorite area to walk around, so far, was Marylebone on a bright and sunny (yes, I did say sunny-it is not always rainy) Saturday morning. The buildings were beautifully constructed, with a few pubs and a cathedral lining the streets. The hidden treasure was the bookstore that was filled with novels from the past two centuries. I've only eaten in the King's Cross Station vicinity and the food does not disappoint. I personally don't eat seafood, although a friend said the fish and chips she had were to die for, but I've found that there is so many food offerings. Lebanese, Chinese, Indian, Italian, and food from the pub can be found seemingly almost anywhere. Being able to not only immerse myself in the culture of Londoners, but to also be able to experience other cultures is part of what I'm appreciating about being able to live in London for the next three and a half months.